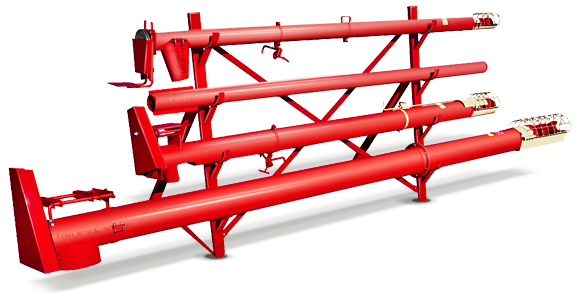 FARM KING MANUFACTURES A WIDE SELECTION OF UTILITY AUGERS, IN TUBE WIDTHS RANGING FROM 4" TO 8", AND IN LENGTHS OF 11' TO 23'. Various tubing lengths are available for a variety of applications. The components are adaptable to suit various configuration and capacity requirements, and solid construction and heavy gauge tubing ensures extra durability and longevity. Manual Version - 5" & 6"